The Polish datacentre market, although still in its early phases of development, is worth more than 1bn Polish zloty (£188m) – about a 15% increase from 2012. Every year, between 4,000 and 7,000 square metres of new space for datacentres is put to use in Poland. Opening of new facilities brings investors the expected return on investment relatively quickly because of quick uptakes. This generates pure income for service providers, according to The datacentre market in Poland 2014 report by IT analyst firm PMR Poland. In the past five years, the value of basic services offered by datacentres has increased by more than 200%. Its development has been up by at least 20% year-on-year, and has been resistant to the effects of the global financial crisis, according to the head of IT market analyses at PMR Poland Pawel Olszynka. He estimates in 2014, and the following three years, the growth rate of the datacentre market will remain similar. According to PMR, datacentre services is one of the most promising segments of the entire IT sector in Poland. In recent years, new investments for datacentre constructions have been noticeably linked to technology parks and special economic zones – places where the legislature creates more attractive business conditions, especially in terms of taxes, but also provide businesses with highly resilient datacentre infrastructure and low latency. Branch investors can also count on financial support from the funds of the European Union budget, which improves efficiency, reduces the pay-back period and increases competition in the market between new and existing facilities, the analyst company’s report suggests. In 2013, ATM recorded an increase in revenues from its co-location and hosting services by 17 %, compared with 2012. At the end of 2013, ATM’s share in the Polish market for datacentre services stood at 11%. The company sells its services under two brands: Atman and Thinx. Chief executive at ATM Maciej Krzyzanowski says while the company has been providing datacentre services for almost 15 years, 2013 – the year it achieved its best financial results to date – was the most special. ATM has increased its investments across all areas of datacentres – from individual server (1U), through to the server racks, dedicated servers and the dedicated server rooms for large customers who want private cloud-like co-location service. In June 2014, ATM launched its newest datacentre – F4 – in Warsaw, which expanded its existing functioning facility there, the Atman Data Center, by about 1,000 square metres. “We are confident full occupation of the new datacentre space will be fast,” says Krzyzanowski. The company has already signed one long-term contract with a financial services player. The customer will occupy one quarter of the total colocation space available in the F4 building. Krzyzanowski says advanced-stage negotiations are under way with other potential enterprise customers. “We are already building another datacentre. That datacentre facility will be ready by mid-2015 when the F4 facility will run out of space," he says. Apart from large native companies, ATM is seeing interest from foreign enterprises as well. Krzyzanowski stresses the company’s high-quality, resilient datacentre services at modest prices is pulling enterprises from neighbouring European countries. Additionally, ATM is also attracting attention from small and medium-sized enterprises (SMEs) who want access to high-end compute infrastructure but do not have the budget or expertise to build one in-house. Polish SMEs adopting hosting and colocation services is also evident in the soaring revenues from ATM’s dedicated servers lease. It recorded a 190% increase in sales of its Atman EcoSerwer servers in 2013. In terms of space available for clients in datacentres, Poland is the second largest market – after Russia – in central and Eastern Europe, according to the findings of PMR Research, a global consulting company. The participation of Polish datacentres in this market is estimated at more than 20%. But what’s behind the success of Poland’s datacentre economy? The country’s network architecture, stable politics, standard energy prices, economic conditions and shifts in IT are all facilitating the growth of datacentres here. Its progress is also promoted by an association for all market players. Data Center Alliance (DCA) aims to increase the potential of datacentres and to achieve synergies in businesses. The first members of the union were Netia, Polcom, CK Zeto and Beyond.pl. Director of product development at Netia Pawel Mazurek says the DCA works together so customers can choose the most convenient location for their IT infrastructure. "We all also offer high-speed transfer of data and datacentre services, advanced configurations services, and disaster recovery or backup datacentre services. “The strength the market offers is improved by establishing a synergy in business with other similar players and that’s why we joined the alliance,” he says. Another reason for its success is the value it provides to enterprise customers. “A datacentre service should be attractive to the users, not only in terms of price, but also in terms of available services,” says business development executive for financial services at IBM Poland Grzegorz Kuliszewski. In 2013, IBM launched 1,250 square metres of new datacentre space in Blonie, 30km west of Warsaw. Datacentre customer Provident Poland, which has been using datacentre services from GTS Poland, advises enterprises some of the key challenges in colocation adoption is selecting the right service provider and developing a co-operative relation with the provider. In 2013, GTS completed the work on expanding the corporate wide-area network (WAN), connecting 150 branches of home credit business International Personal Finance (IPF) in five European countries: Poland (Provident is the Polish branch of this corporation), the Czech Republic, Slovakia, Hungary and Romania. The biggest changes occurred in Poland. Director of IT at Provident Michal Stadryniak says reconstruction of the corporate network was neccessary because of the need for centralising applications that support its business in Europe. "Its effects were increased technological capacity of the network, ensuring branches in different countries can access data stored in the central datacentre,” he says. But because it involved the service provider in the project from the start, it was easy for GTS to build a new basic network and help the company use a previously existing network as backup infrastructure. Lack of co-operation with datacentre providers results in disappointment because of increased cost, instead of expected savings. In such a situation the cost tends to be far higher than planned, warn experts. Business development manager at software house Comarch Jacek Slowik argues the selection of datacentre services provider should be a priority for the customer. “Otherwise, there is a risk the contract will be a source of problems for both parties involved,” he says. How can such a scenario be avoided? 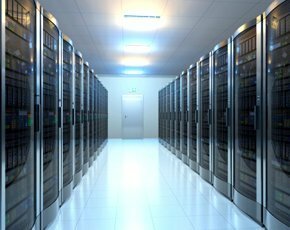 Datacentres operators – including ATM, Comarch, IBM, Integrated Solution, GTS – advise when a company chooses the place for storing its data it should consider the reputation of the service provider and the quality of services offered. “It is important to analyse carefully the contract terms and check where the liability of the provider ends and where the user’s begins,” says Slowik. Reliable datacentre providers will offer strong backup and disaster recovery services and that’s what users must look for, service providers advise. “In a case of an unexpected failure, they recover data in a way unnoticeable to the consumer. All figures are in fact replicated between the two datacentres and saved in copies,” Slowik says. “Unfortunately, a customer can find unreliable providers,” says director of datacentre and virtualisation at Cisco Systems Poland Grzegorz Dobrowolski. The customer exposes itself to the risk of financial loss when it does not carefully protect its interests in a contract with an external operator, he warns. Popular Polish web brands – such as Media Markt, NaTemat.pl, e-lawyer, Oferia, Allegro, e24cloud.com and PayU.pl – experienced this in 2012 when their web services faced outages as datacentre provider Beyond.pl did not have robust disaster-recovery strategies. Mitigating risks helps enterprises spread the word about third-party datacentres which then flourish, experts conclude.